The Academy Award for Best Original Screenplay is the Academy Award for the best screenplay not based upon previously published material. It was created in 1940 as a separate writing award from the Academy Award for Best Story. Beginning with the Oscars for 1957, the two categories were combined to honor only the screenplay. In 2002, the name of the award was changed from Writing (Screenplay Written Directly for the Screen) to Writing (Original Screenplay). See also the Academy Award for Best Adapted Screenplay, a similar award for screenplays that are adaptations. Noted novelists and playwrights who have received nominations in this category include: John Steinbeck, Noël Coward, Raymond Chandler, Alain Robbe-Grillet, Edward Bond, Arthur C. Clarke, Lillian Hellman, Neil Simon, Paddy Chayefsky, Kenneth Lonergan, Tom Stoppard, Terence Rattigan and Martin McDonagh. Woody Allen has the most nominations in this category with 16, and the most awards with 3, though Paddy Chayefsky won the Best Adapted Screenplay in 1955 for his adaptation of his own teleplay, Marty, and also won for Original Screenplay for The Hospital and Network. Woody Allen also holds the record as the oldest winner (at age 76 for Midnight in Paris, 2011). 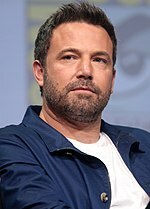 Ben Affleck is the youngest winner, at the age of 25 for Good Will Hunting; he co-wrote the screenplay with Matt Damon (age 27 at the time of their award). Richard Schweizer was the first to win for a foreign-language film, Marie-Louise. Other winners for a non-English screenplay include Albert Lamorisse, Pietro Germi, Claude Lelouch, and Pedro Almodóvar. Lamorisse is additionally the only person to win or even be nominated for Best Original Screenplay for a short film (The Red Balloon, 1956). Muriel Box was the first woman to win in this category; she shared the award with her husband, Sydney Box, for the 1945 film The Seventh Veil. The Boxes are also the first married couple to win in this category. Only three other married couples won an Oscar in another category—Earl W. Wallace and Pamela Wallace (for Original Screenplay), Peter Jackson and Fran Walsh (for Adapted Screenplay and Picture), and Kristen Anderson-Lopez and Robert Lopez (for Original Song). In 1996, Joel Coen and Ethan Coen became the only siblings to win in this category (for Fargo). Francis Ford Coppola (Patton, 1970) and Sofia Coppola (Lost in Translation, 2003) are the only father-daughter pair to win. Preston Sturges was nominated for two different films in the same year (1944): Hail the Conquering Hero and The Miracle of Morgan's Creek. Oliver Stone achieved the same distinction in 1986, for Platoon and Salvador. Maurice Richlin and Stanley Shapiro were nominated in 1959 for both Operation Petticoat and Pillow Talk and won for the latter. At the 2018 ceremony, Get Out writer-director Jordan Peele became the first African-American to win in this category. Winners are listed first in colored row, followed by the other nominees. Herman J. Mankiewicz, co-winner of the second award in this category (for Citizen Kane). 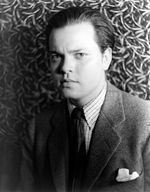 Orson Welles co-won the award for Citizen Kane in 1941. Screenwriter and director Billy Wilder (right) received two awards in this category in collaboration with others—one for Sunset Boulevard and one for The Apartment. 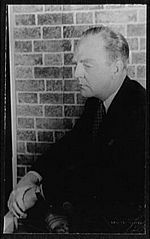 William Inge earned this award in 1961 for Splendor in the Grass. William Rose (center right) won once in this category from three nominations. 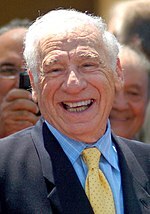 Mel Brooks won in 1969 for 1968's The Producers. 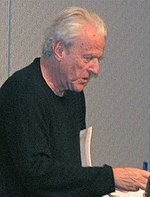 William Goldman, winner in 1969 for Butch Cassidy and the Sundance Kid. 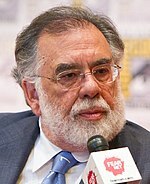 Francis Ford Coppola, co-winner of the 1970 award for Patton. 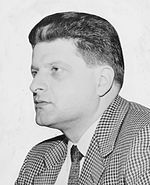 Paddy Chayefsky garnered two solo wins in this category—one for 1971's The Hospital and one for 1976's Network. 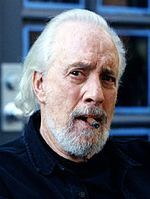 The screenwriter of Chinatown, Robert Towne, received this award. Woody Allen earned three Original Screenplay Oscars, for Annie Hall (along with Marshall Brickman), Hannah and Her Sisters, and Midnight in Paris. He has received sixteen nominations total, the most of any writer. Steve Tesich received the award in 1979 for Breaking Away. Bo Goldman (left) won in 1981 for 1980's Melvin and Howard. John Patrick Shanley, winner of this award for the 1987 romantic comedy Moonstruck. 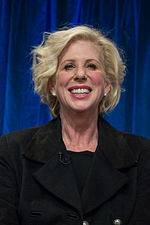 Callie Khouri became the first woman to garner a solo win in this category with her work on Thelma & Louise. Neil Jordan won in 1993 for 1992's The Crying Game. 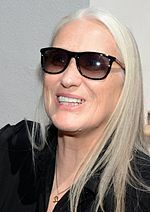 Jane Campion won for The Piano in 1993. 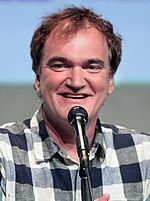 Quentin Tarantino has received two awards from three nominations. His wins were eighteen years apart—the first was for Pulp Fiction in 1994, while the second was for 2012's Django Unchained. 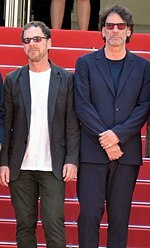 Christopher McQuarrie received the award for The Usual Suspects. Writer-director pair the Coen brothers won in 1997 for 1996's Fargo. Ben Affleck, co-winner of 1997's award for Good Will Hunting. 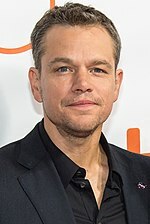 Matt Damon also received the award for Good Will Hunting. 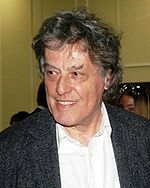 Tom Stoppard garnered the award for Shakespeare in Love. Alan Ball won in 2000 for 1999's American Beauty. Cameron Crowe won for 2000's Almost Famous. Sofia Coppola won for 2003's Lost in Translation. Michael Arndt won for 2006's Little Miss Sunshine. 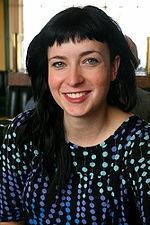 Diablo Cody won for 2007's Juno. 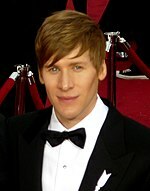 Dustin Lance Black won for 2008's Milk. 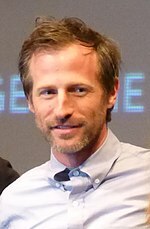 Spike Jonze won for 2013's Her. 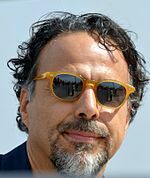 Alejandro G. Iñárritu won for the screenplay of 2014's Birdman, co-written with Nicolás Giacobone, Alexander Dinelaris Jr., and Armando Bo. Tom McCarthy won for the screenplay of 2015's Spotlight, co-written with Josh Singer. 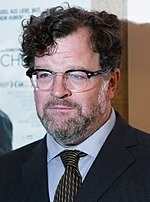 Kenneth Lonergan won for Manchester by the Sea (2016). 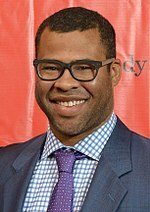 Jordan Peele became the first African-American to win the award for 2017's Get Out. 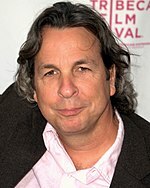 Peter Farrelly won for the screenplay of 2018's Green Book, co-written with Brian Currie and Nick Vallelonga. Birdman Won Shared win with Alexander Dinelaris Jr.
^ Best Original Screenplay was consolidated in 1948 for a singular Best Screenplay award. The winner was The Treasure of the Sierra Madre, adapted from the novel of same name. ^ In 1958, Nedrick Young was blacklisted and writing under the pseudonym Nathan E. Douglas. The Academy's Board of Governors voted in 1993 to restore Young's nomination and award. ^ Will this year's Oscar nominations break any records? ^ "The 13th Academy Awards (1941) Nominees and Winners". Academy of Motion Picture Arts and Sciences (AMPAS). Retrieved August 27, 2013. ^ "The 14th Academy Awards (1942) Nominees and Winners". Academy of Motion Picture Arts and Sciences (AMPAS). Retrieved August 27, 2013. ^ "The 15th Academy Awards (1943) Nominees and Winners". Academy of Motion Picture Arts and Sciences (AMPAS). Retrieved August 27, 2013. ^ "The 16th Academy Awards (1944) Nominees and Winners". Academy of Motion Picture Arts and Sciences (AMPAS). Retrieved August 27, 2013. ^ "The 17th Academy Awards (1945) Nominees and Winners". Academy of Motion Picture Arts and Sciences (AMPAS). Retrieved August 27, 2013. ^ "The 18th Academy Awards (1946) Nominees and Winners". Academy of Motion Picture Arts and Sciences (AMPAS). Retrieved August 27, 2013. ^ "The 19th Academy Awards (1947) Nominees and Winners". Academy of Motion Picture Arts and Sciences (AMPAS). Retrieved August 27, 2013. ^ "The 20th Academy Awards (1948) Nominees and Winners". Academy of Motion Picture Arts and Sciences (AMPAS). Retrieved August 27, 2013. ^ "The 21st Academy Awards (1949) Nominees and Winners". Academy of Motion Picture Arts and Sciences (AMPAS). Retrieved August 27, 2013. ^ "The 22nd Academy Awards (1950) Nominees and Winners". Academy of Motion Picture Arts and Sciences (AMPAS). Retrieved August 27, 2013. ^ "The 23rd Academy Awards (1951) Nominees and Winners". Academy of Motion Picture Arts and Sciences (AMPAS). Retrieved August 27, 2013. ^ "The 24th Academy Awards (1952) Nominees and Winners". Academy of Motion Picture Arts and Sciences (AMPAS). Retrieved August 27, 2013. ^ "The 25th Academy Awards (1953) Nominees and Winners". Academy of Motion Picture Arts and Sciences (AMPAS). Retrieved August 27, 2013. ^ "The 26th Academy Awards (1954) Nominees and Winners". Academy of Motion Picture Arts and Sciences (AMPAS). Retrieved August 27, 2013. ^ "The 27th Academy Awards (1955) Nominees and Winners". Academy of Motion Picture Arts and Sciences (AMPAS). Retrieved August 27, 2013. ^ "The 28th Academy Awards (1956) Nominees and Winners". Academy of Motion Picture Arts and Sciences (AMPAS). Retrieved August 27, 2013. ^ "The 29th Academy Awards (1957) Nominees and Winners". Academy of Motion Picture Arts and Sciences (AMPAS). Retrieved August 27, 2013. ^ "The 30th Academy Awards (1958) Nominees and Winners". Academy of Motion Picture Arts and Sciences (AMPAS). Retrieved August 27, 2013. ^ "The 31st Academy Awards (1959) Nominees and Winners". Academy of Motion Picture Arts and Sciences (AMPAS). Retrieved August 27, 2013. ^ "The 32nd Academy Awards (1960) Nominees and Winners". Academy of Motion Picture Arts and Sciences (AMPAS). Retrieved August 27, 2013. ^ "The 33rd Academy Awards (1961) Nominees and Winners". Academy of Motion Picture Arts and Sciences (AMPAS). Retrieved August 27, 2013. ^ "The 34th Academy Awards (1962) Nominees and Winners". Academy of Motion Picture Arts and Sciences (AMPAS). Retrieved August 27, 2013. ^ "The 35th Academy Awards (1963) Nominees and Winners". Academy of Motion Picture Arts and Sciences (AMPAS). Retrieved August 27, 2013. ^ "The 36th Academy Awards (1964) Nominees and Winners". Academy of Motion Picture Arts and Sciences (AMPAS). Retrieved August 27, 2013. ^ "The 37th Academy Awards (1965) Nominees and Winners". Academy of Motion Picture Arts and Sciences (AMPAS). Retrieved August 27, 2013. ^ "The 38th Academy Awards (1966) Nominees and Winners". Academy of Motion Picture Arts and Sciences (AMPAS). Retrieved August 27, 2013. ^ "The 39th Academy Awards (1967) Nominees and Winners". Academy of Motion Picture Arts and Sciences (AMPAS). Retrieved August 27, 2013. ^ "The 40th Academy Awards (1968) Nominees and Winners". Academy of Motion Picture Arts and Sciences (AMPAS). Retrieved August 27, 2013. ^ "The 41st Academy Awards (1969) Nominees and Winners". Academy of Motion Picture Arts and Sciences (AMPAS). Retrieved August 27, 2013. ^ "The 42nd Academy Awards (1970) Nominees and Winners". Academy of Motion Picture Arts and Sciences (AMPAS). Retrieved August 27, 2013. ^ "The 43rd Academy Awards (1971) Nominees and Winners". Academy of Motion Picture Arts and Sciences (AMPAS). Retrieved August 27, 2013. ^ "The 44th Academy Awards (1972) Nominees and Winners". Academy of Motion Picture Arts and Sciences (AMPAS). Retrieved August 27, 2013. ^ "The 45th Academy Awards (1973) Nominees and Winners". Academy of Motion Picture Arts and Sciences (AMPAS). Retrieved August 27, 2013. ^ "The 46th Academy Awards (1974) Nominees and Winners". Academy of Motion Picture Arts and Sciences (AMPAS). Retrieved August 27, 2013. ^ "The 47th Academy Awards (1975) Nominees and Winners". Academy of Motion Picture Arts and Sciences (AMPAS). Retrieved August 27, 2013. ^ "The 48th Academy Awards (1976) Nominees and Winners". Academy of Motion Picture Arts and Sciences (AMPAS). Retrieved August 27, 2013. ^ "The 49th Academy Awards (1977) Nominees and Winners". Academy of Motion Picture Arts and Sciences (AMPAS). Retrieved August 27, 2013. ^ "The 50th Academy Awards (1978) Nominees and Winners". Academy of Motion Picture Arts and Sciences (AMPAS). Retrieved August 27, 2013. ^ "The 51st Academy Awards (1979) Nominees and Winners". Academy of Motion Picture Arts and Sciences (AMPAS). Retrieved August 27, 2013. ^ "The 52nd Academy Awards (1980) Nominees and Winners". Academy of Motion Picture Arts and Sciences (AMPAS). Retrieved August 27, 2013. ^ "The 53rd Academy Awards (1981) Nominees and Winners". Academy of Motion Picture Arts and Sciences (AMPAS). Retrieved August 27, 2013. ^ "The 54th Academy Awards (1982) Nominees and Winners". Academy of Motion Picture Arts and Sciences (AMPAS). Retrieved August 27, 2013. ^ "The 55th Academy Awards (1983) Nominees and Winners". Academy of Motion Picture Arts and Sciences (AMPAS). Archived from the original on September 5, 2012. Retrieved August 27, 2013. ^ "The 56th Academy Awards (1984) Nominees and Winners". Academy of Motion Picture Arts and Sciences (AMPAS). Retrieved August 27, 2013. ^ "The 57th Academy Awards (1985) Nominees and Winners". Academy of Motion Picture Arts and Sciences (AMPAS). Retrieved August 27, 2013. ^ "The 58th Academy Awards (1986) Nominees and Winners". Academy of Motion Picture Arts and Sciences (AMPAS). Retrieved August 27, 2013. ^ "The 59th Academy Awards (1987) Nominees and Winners". Academy of Motion Picture Arts and Sciences (AMPAS). Retrieved August 27, 2013. ^ "The 60th Academy Awards (1988) Nominees and Winners". Academy of Motion Picture Arts and Sciences (AMPAS). Retrieved August 27, 2013. ^ "The 61st Academy Awards (1989) Nominees and Winners". Academy of Motion Picture Arts and Sciences (AMPAS). Retrieved August 27, 2013. ^ "The 62nd Academy Awards (1990) Nominees and Winners". Academy of Motion Picture Arts and Sciences (AMPAS). Retrieved August 27, 2013. ^ "The 63rd Academy Awards (1991) Nominees and Winners". Academy of Motion Picture Arts and Sciences (AMPAS). Retrieved August 27, 2013. ^ "The 64th Academy Awards (1992) Nominees and Winners". Academy of Motion Picture Arts and Sciences (AMPAS). Retrieved August 27, 2013. ^ "The 65th Academy Awards (1993) Nominees and Winners". Academy of Motion Picture Arts and Sciences (AMPAS). Retrieved August 27, 2013. ^ "The 66th Academy Awards (1994) Nominees and Winners". Academy of Motion Picture Arts and Sciences (AMPAS). Retrieved August 27, 2013. ^ "The 67th Academy Awards (1995) Nominees and Winners". Academy of Motion Picture Arts and Sciences (AMPAS). Retrieved August 27, 2013. ^ "The 68th Academy Awards (1996) Nominees and Winners". Academy of Motion Picture Arts and Sciences (AMPAS). Retrieved August 27, 2013. ^ "The 69th Academy Awards (1997) Nominees and Winners". Academy of Motion Picture Arts and Sciences (AMPAS). Retrieved August 27, 2013. ^ "The 70th Academy Awards (1998) Nominees and Winners". Academy of Motion Picture Arts and Sciences (AMPAS). Retrieved August 27, 2013. ^ "The 71st Academy Awards (1999) Nominees and Winners". Academy of Motion Picture Arts and Sciences (AMPAS). Retrieved August 27, 2013. ^ "The 72nd Academy Awards (2000) Nominees and Winners". Academy of Motion Picture Arts and Sciences (AMPAS). Retrieved August 27, 2013. ^ "The 73rd Academy Awards (2001) Nominees and Winners". Academy of Motion Picture Arts and Sciences (AMPAS). Retrieved August 27, 2013. ^ "The 74th Academy Awards (2002) Nominees and Winners". Academy of Motion Picture Arts and Sciences (AMPAS). Retrieved August 27, 2013. ^ "The 75th Academy Awards (2003) Nominees and Winners". Academy of Motion Picture Arts and Sciences (AMPAS). Retrieved August 27, 2013. ^ "The 76th Academy Awards (2004) Nominees and Winners". Academy of Motion Picture Arts and Sciences (AMPAS). Retrieved August 27, 2013. ^ "The 77th Academy Awards (2005) Nominees and Winners". Academy of Motion Picture Arts and Sciences (AMPAS). Retrieved August 27, 2013. ^ "The 78th Academy Awards (2006) Nominees and Winners". Academy of Motion Picture Arts and Sciences (AMPAS). Retrieved August 27, 2013. ^ "The 79th Academy Awards (2007) Nominees and Winners". Academy of Motion Picture Arts and Sciences (AMPAS). Retrieved August 27, 2013. ^ "The 80th Academy Awards (2008) Nominees and Winners". Academy of Motion Picture Arts and Sciences (AMPAS). Retrieved August 27, 2013. ^ "The 81st Academy Awards (2009) Nominees and Winners". Academy of Motion Picture Arts and Sciences (AMPAS). Retrieved August 27, 2013. ^ "The 82nd Academy Awards (2010) Nominees and Winners". Academy of Motion Picture Arts and Sciences (AMPAS). Retrieved August 27, 2013. ^ "The 83rd Academy Awards (2011) Nominees and Winners". Academy of Motion Picture Arts and Sciences (AMPAS). Retrieved August 27, 2013. ^ "The 84th Academy Awards (2012) Nominees and Winners". Academy of Motion Picture Arts and Sciences (AMPAS). Retrieved August 27, 2013. ^ "The 85th Academy Awards (2013) Nominees and Winners". Academy of Motion Picture Arts and Sciences (AMPAS). Retrieved August 27, 2013. ^ "The 86th Academy Awards (2014) Nominees and Winners". Academy of Motion Picture Arts and Sciences (AMPAS). Retrieved April 10, 2014. ^ "The 87th Academy Awards (2015) Nominees and Winners". Academy of Motion Picture Arts and Sciences (AMPAS). Retrieved January 15, 2015. ^ "The 88th Academy Awards (2015)". Academy of Motion Picture Arts and Sciences (AMPAS). Retrieved January 14, 2016. ^ "The 89th Academy Awards (2016)". Academy of Motion Picture Arts and Sciences (AMPAS). Retrieved January 24, 2017. ^ "The 90th Academy Awards (2017)". Academy of Motion Picture Arts and Sciences (AMPAS). Retrieved January 23, 2018. ^ "The 90th Academy Awards (2018)". Academy of Motion Picture Arts and Sciences (AMPAS). Retrieved February 25, 2019. ^ a b King, Susan (January 27, 2010). "Noel Coward's blithe spirit lives on". Los Angeles Times. Retrieved February 2, 2017. ^ Portwood, Jerry (February 7, 2013). "Queering Inge". Out. Retrieved January 31, 2017. ^ Sykes, Tom (March 14, 2015). "Inside Arthur C. Clarke's Mysterious World". The Daily Beast. Retrieved October 30, 2017. ^ "Luchino Visconti". Film4. Retrieved February 1, 2017. ^ Berkvist, Robert (May 5, 2011). "Arthur Laurents, Playwright and Director on Broadway, Dies at 93". The New York Times. Retrieved February 2, 2017. ^ Kilday, Gregg (October 1, 2015). "Jane Fonda and Ron Nyswaner to be Honored by L.A. LGBT Center". The Hollywood Reporter. Retrieved February 2, 2017. ^ Covert, Colin (December 23, 2015). "Director Todd Haynes on reshaping the classic cinematic love story with 'Carol'". Star Tribune. Retrieved February 2, 2017. ^ Spanos, Brittany (10 January 2019). "Korean, Japanese Fans Can't Stop Watching 'Bohemian Rhapsody'". Rolling Stone. Retrieved 20 February 2019. ^ "Lisa Cholodenko Has a New TV Project, But Why Hasn't She Directed Another Feature Since 'The Kids Are All Right'?". IndieWire. May 20, 2014. Retrieved February 2, 2017. ^ Zeitchik, Steven (August 14, 2015). "'Compton' screenwriter makes the journey straight outta Connecticut". Los Angeles Times. Retrieved January 30, 2017.